Thank you to everyone that was involved in our Tree Recycling Fundraiser this week! A big thank you to the RMPA, Scott Knight and Gus Mercer for all of their organizing to make sure this event went off without a hitch. Thank you for supporting our students’ fundraising efforts! Congratulations and thank you to our Drumline for their performances on Friday and Saturday up at UVic for this weekend’s basketball games. Thanks, all! We are back and I am so excited to work with all of you! All of our rehearsals are up and running this week and we will be sight-reading new music for the first week back. There is something for everyone: traditional jazz and concert band selections, transcriptions, pop, movie music, and more. Our focus now turns to concerts, performance tours, community concerts, and much more. Band 9 and Band 10 Practice Cards – Continue recording for Week #17. Turn in Weeks 14, 15, and 16 for marking. TERM 2 Requirements for Band 9, 10, 11 and 12 are DUE: by 5pm on Friday, January 18th. No late submissions will be accepted. 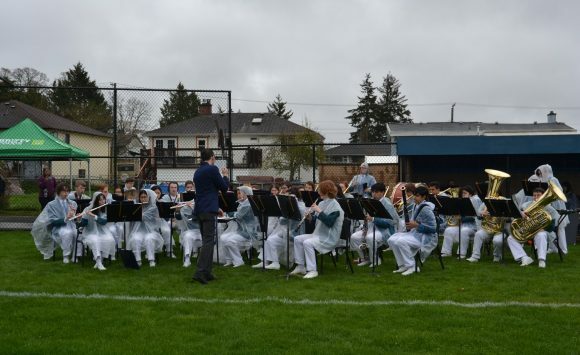 Monday – Blue Band Rehearsal at 7:15am (Yes. That’s you Grade 11s and 12s!). Requirement Completion at Lunch. Pit Orchestra rehearsal after school 3:15pm – 5:00pm. Wednesday – Senior Jazz Band at 7:15am. Junior Jazz Band & Emergency Jazz Combo at Lunch. Drumline rehearsal 3:15pm – 4:45pm. Thursday – Intermediate Jazz Band at 7:15am. Senior Jazz Band at Lunch. Pit Orchestra rehearsal after school 3:15pm – 5:00pm. RMPA Meeting at 7pm in the school conference room. 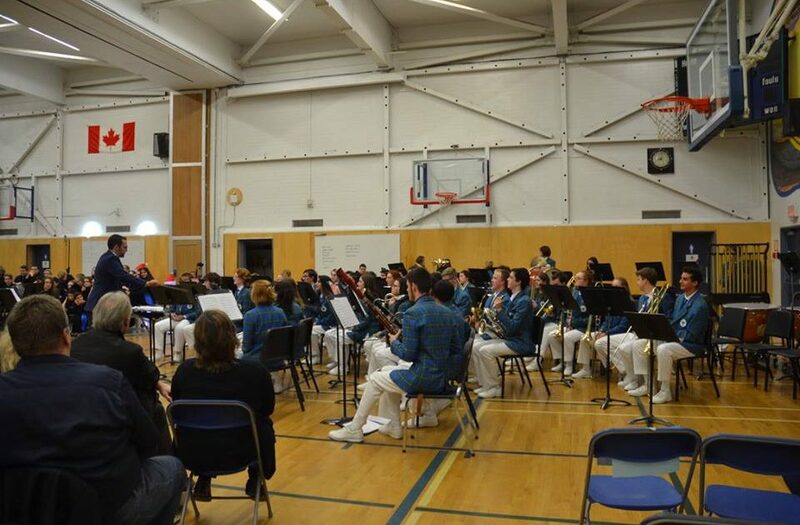 Friday – Green Band Rehearsal at 7:15am (Attendance is mandatory Grade 9s and 10s! We have a concert on February 7th!). Music Council Meeting at Lunch. Drumline rehearsal after school 1:30pm – 3:00pm. Drumline Performance: UVic Basketball’s “Shoot for The Cure” (5:30pm call time at CARSA, perform at 6pm and 8pm). Sunday – Pit Orchestra Rehearsal from 1:30pm-4pm. As we move into the final months of prep for Sister Act, please note that all Monday, Thursday, and Sunday rehearsals are mandatory. Do NOT schedule work, appointments, gigs, or other rehearsals that conflict with pit orchestra rehearsals on Mondays, Thursdays, and Sundays. As detailed in the course outline Sunday rehearsals begin this weekend. Sunday Rehearsals Begin on Jan. 13th – As mentioned above, the pit orchestra begins rehearsing on Sunday afternoons from 1:30pm – 4pm (continuing for 8 consecutive Sundays until the show opens in March)). Attendance is mandatory. If you are able to bring in a item for the auction, please bring it to Ms. Kerr. Silent Auction Donation Request letters are available in the band room and from Ms. Kerr. Thank you! ‘Sitzprobe” on Monday Jan. 28th – a “sing-through” of the entire show (without acting and dancing) will be held on Mon. Jan 28th. All numbers that involve the cast/soloists/ensemble must be learned by this point. Attendance is mandatory. Pro-D Day Rehearsal on Friday, Feb. 5th – we will rehearse from 9am – 3pm. Snacks and pizza lunch is provided. Attendance is mandatory. 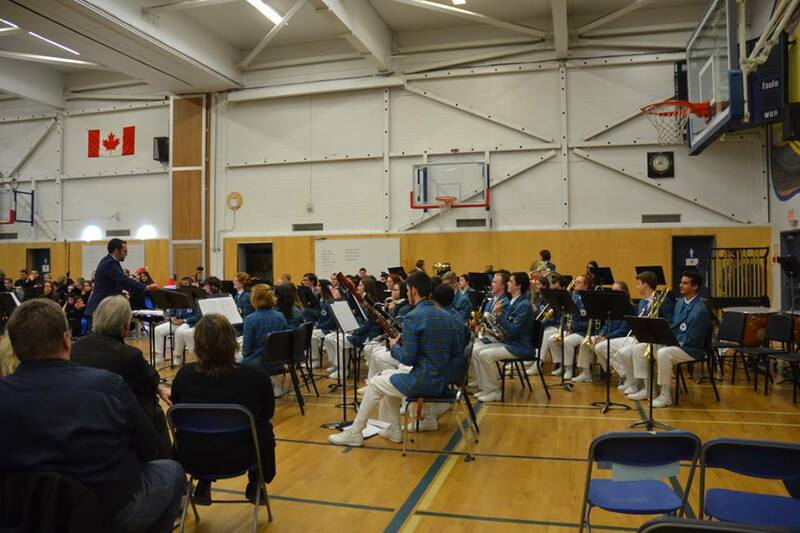 Family Day Rehearsal on Friday, Feb. 18th – we will rehearse from 12pm – 5pm. Attendance is mandatory as per the course outline distributed in October. Attendance is mandatory. Dress Rehearsal #1 on Friday March 1st – we will rehearse and run the full show from 1:10pm until 9:30pm/10pm. Pizza and juice provided for dinner. Attendance is mandatory. Tech Run Day on Saturday, March 2nd – Pit is called for 12:30pm – 4pm. Be prepared to start and stop as the production team deals with any technical issues. Attendance is mandatory. Dress Rehearsal # 2 on Sunday, March 3rd – Final Dress Rehearsal from 1pm – 6pm. Attendance is mandatory. Shows: March 4-9, 6pm call in the pit. Be seated in the pit, ready to tune and run any numbers that are needed. Doors open at 7pm (pit must be vacated at this point) and the show starts at 7:30pm. Attendance is mandatory. 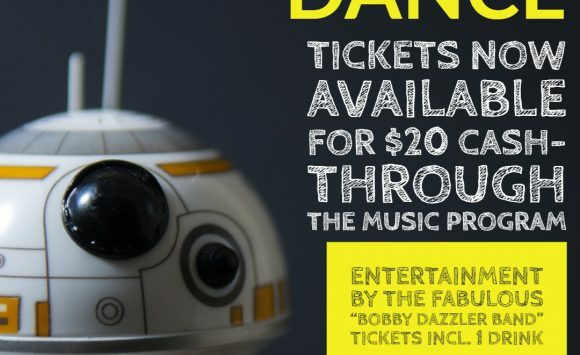 Tickets Sales: Starting on January 10! Tickets are available from Ms. Kerr or from the Reynolds Office ($10 for adults and $9 for students). Tour / Travel updates will be available on Wednesday this week. Thanks everyone! 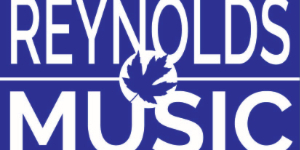 Welcome back to Reynolds Music and Happy New Year!